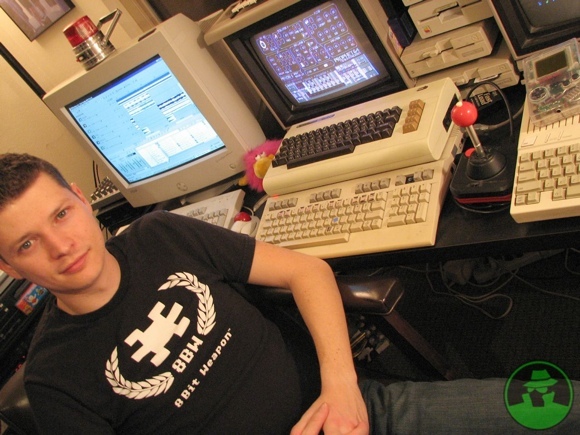 Weekend Reading/Listening: 8-bit Operators vs. Kraftwerk, Commodore 64 Forever! 8-bit music has definitely caught the attention of the mainstream. GameSpy has a good five-way interview with part of the group behind the new album of Kraftwerk covers, 8-bit Operators: The Music of Kraftwerk. Kraftwerk goes nicely with Commodore 64’s, Game Boys, and NES systems, though it’s a tiny instrumental step rather than the leap that was Switched on Bach. Dig the shot of C64 homebrew music console Prophet64 in the Gamespy image.